Ad Pallets provides wood chips of specific dimensions for industrial use. We can particularly supply wood chips of low humidity and high calorific value to industrial plants, for the highest energy performance. Wood chips are made of recycled wood, since Ad Pallets is a certified final recipient of recycled wood in Greece. Our company holds a license for a plant of storage, sorting and mechanical processing of scrap wooden containers and wooden pallets, as well as a license for the industrial production of wood chips from the products of the aforementioned processing. Thus, we are sure of the excellent quality of wood chips we can provide to the market. 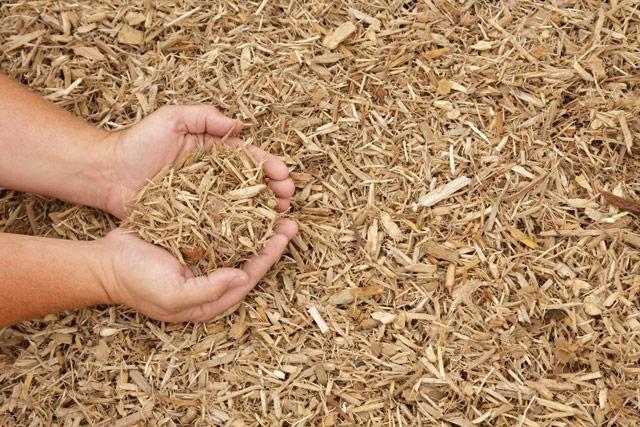 Wood chips can also cover needs of domestic heating, as they can be used as fuel in boilers similar to pellet boilers. They can be transported and stored more easily than firewood, and their combustion in the boiler is of higher quality. Furtermore, wood chips are cheaper than pellets, because their production process is much simpler, increasing thus their share in the European and American markets.